Clue: “When all the others were away at Mass”. OUT OF 440 nominations one poem has been voted as Ireland’s Best Loved Poem of the past 100 years. 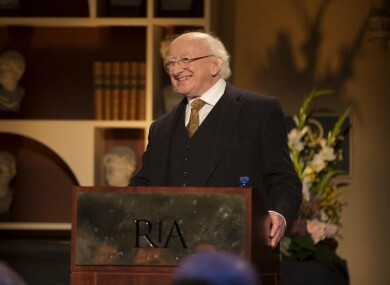 President Michael D Higgins announced the winner of RTÉ’s A Poem for Ireland today. The sonnet When All The Others Were Away at Mass by Seamus Heaney topped the poll as the best-loved Irish poem of the past century. Seamus Heaney’s son Mick Heaney said: “We are delighted and honoured that my father’s sonnet When All the Others Were Away at Mass has been voted by the public as the Poem For Ireland, particularly given the magnificent shortlist it was part of. Dad was never happier than when reading or writing poetry, so for his work to be part of a project that shows the sweep of Irish poetry and underlines its crucial part in our culture is a wonderful tribute to his life and work, for which our family are truly grateful. RTÉ’s A Poem For Ireland began last September with a call-out to the public to nominate their best-loved Irish poems of the past 100 years. Over 440 poems were nominated and a jury whittled the nominations down to just ten poems. The final ten were announced in late January and people from Ireland and all over the world were then able to vote for their favourite. The full reveal can be viewed on The Works this Friday at 8.30pm on RTE One. Email “The President announced Ireland's favourite poem of the past 100 years, can you guess?”. Feedback on “The President announced Ireland's favourite poem of the past 100 years, can you guess?”.